The first full debut release of the duo will be out on 'Visionquest' (Label of Seth Troxler, Ryan Crosson, Shaun Reeves & Lee Curtiss) in Spring 2011 whilst tracks already appear on labels such as 'Barraca Music', 'Cocoon' and 'Life & Death'. Various collaborations took place in 2010 alongside fellow 'Visionquest' label mates Shaun Reeves & Ryan Crosson for critically acclaimed remixes and EP's. In particular the Tale Of Us remix on 'Life & Death' (Thugfucker - Disco Gnome) has seen them achieve much praise, airplay and success in record sales. Future remixes on the horizon sees the duo try their hand at something totally different with a dynamic remix for an upcoming album of the rock band 'Who Made Who' which fuses together both rock and techno whilst managing to create something incredibly raw and interesting. 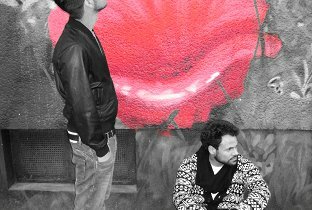 Karm & Matteo have already played in clubs such as Watergate, Weekend, Privilege, Tenax, Barraca & DC10 and have been throwing secret loft parties in their hometown of Milan, known as 'Just This'. Such a wide range of clubs already played illustrates the natural talent in both and production and performing, helped in part due to their expansive understanding and knowledge of all variations of music. Upcoming events will see them perform both Live & DJ sets at locations around the world during WMC at Miami, at Detroit Movement Festival (DEMF),or Sonar Barcellona,they are also officially booked at Klubber's Day Madrid,Fiesta Privada Rome, Elita Festival Milan and many other quality venues through Europe. All times are GMT -4. The time now is 01:58:18 PM.